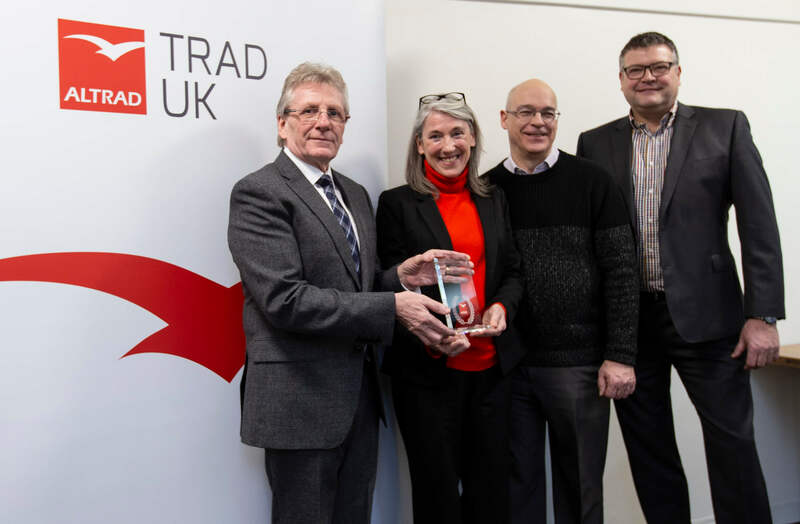 TRAD UK proudly received the Best Team Contribution Award at the inaugural Altrad President’s Awards for Safety Ceremony in Montpellier at the end of 2018. 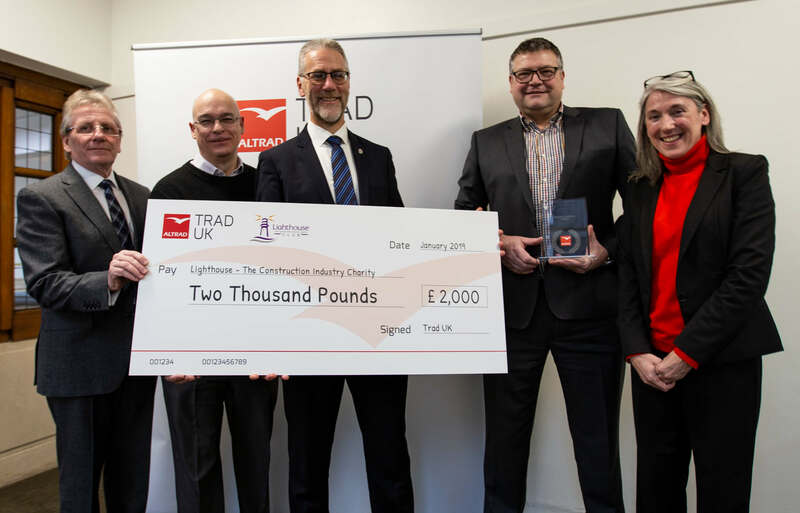 This Safety Award was in recognition of TRAD’s significant contribution towards improving safety within their own business and the wider construction industry. As winner’s of this prestigious award, TRAD have received £1,000 to donate to a charity of their choice. 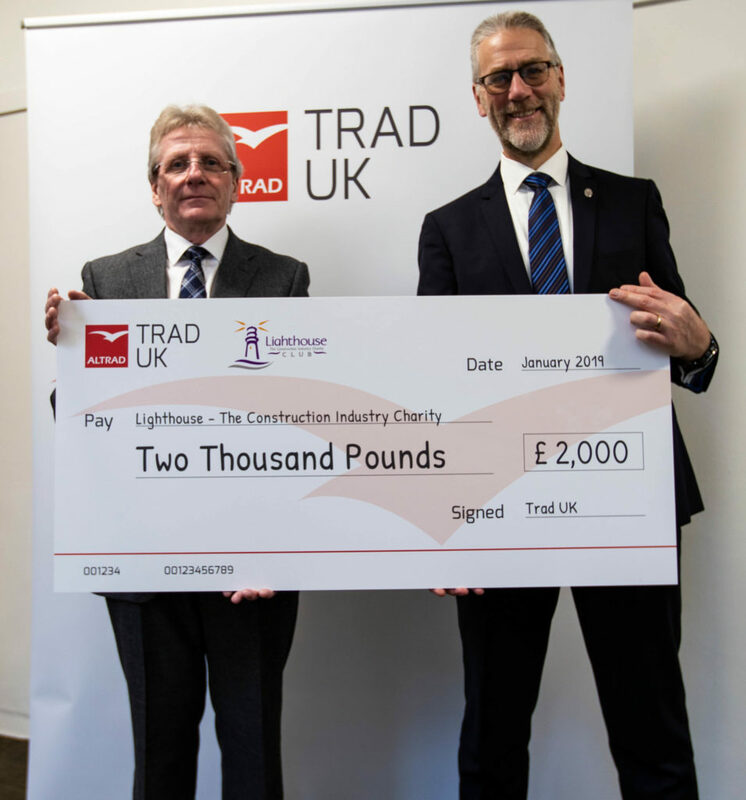 TRAD UK will double this amount, so the well deserved Lighthouse Club Charity, as chosen by TRAD UK CEO Des Moore, will receive £2,000. The Lighthouse Club’s primary purpose is to provide financial and emotional support to construction workers and their families who have suffered hardship as a consequence of accident, illness or bereavement. They receive no public funding and rely on the generosity of those within the industry to help them continue their vital work. At the NASC Annual Ball & Awards in November 2018, the Lighthouse Club received a huge donation of £30,000, which was generously raised by members of NASC, of which Des Moore is currently President. This donation was an initiative of Des Moore and TRAD UK, and as a result of this substantial contribution, the NASC have been placed on the Lighthouse Club Charity’s Wall of Fame. It is thanks to generosity like this from the construction industry that the Lighthouse Club can develop their Building Mental Health programme. They have recently launched their Construction Industry Helpline App, which complements their existing 24/7 Helpline. Through the app, users can find out more information how about they can help themselves and take the next step in seeking professional help. TRAD’s more than 1,000 staff have adopted the use of this free mental health app, which will prove vital to those who feel they have nowhere else to turn. Two construction workers take their own life every single working day and stress, anxiety and depression accounts for a fifth of all work related illness.